Exciting news! If you are already familiar with the MTConnect Student Challenge, we are happy to announce the deadline has been extended! If not, let us fill you in. MTConnect is the communication standard of choice for the manufacturing industry—it is the way industrial equipment delivers data from the shop floor. Because different shops use a variety of different types of equipment, in order to deliver uniform data, it is important to have a communication standard— which is where MTConnect comes in. With a communication standard providing uniform information, it makes for more efficient operations, improved production optimization, and increased productivity. What is the MT Connect Challenge? Great ideas will be rewarded! 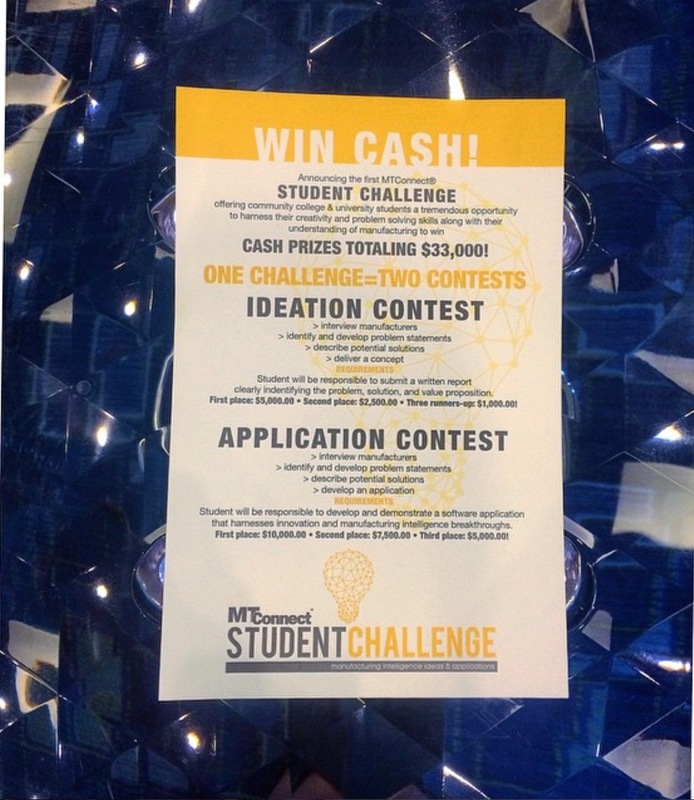 Prizes for the MTConnect “Idea Creation” Challenge will total $10,500—$5,000 for first place, $2,500 for second place, and $1,000 each for three runners up; and the “Application Development” challenge prizes will total $22,500.00. As we mentioned above, the submission period for the “Idea Challenge” has been extended to 12/15/2015, and the deadline for the “Application Development” will be 1/31/2016. Judging will also take place later (1/11/16), with winners announced on 2/5/16. Read competition rules here and be sure to follow @ChallengeGov on Twitter to stay tuned for info and updates on the challenge!